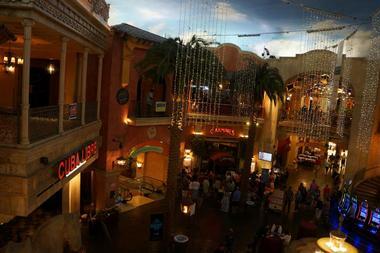 Head to Atlantic City for a weekend of fun in the sun, relaxing spa treatments, shopping, dining and entertainment. 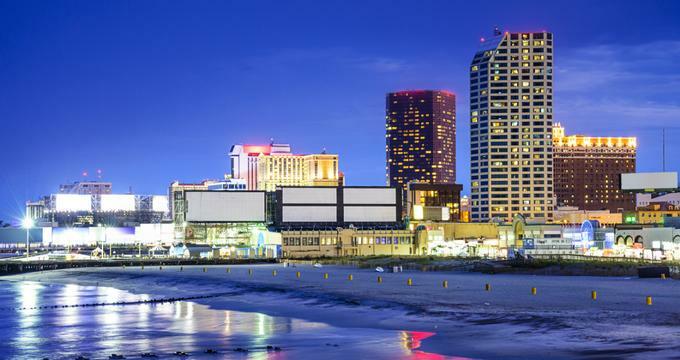 Attracting couples and families alike with a diverse selection of things to see and do, Atlantic City is a popular vacation destination on the East Coast. Best things to do in Atlantic City for couples include the view from New Jersey's tallest lighthouse, a free tour of the world’s largest pipe organ and a romantic cruise. The historic Atlantic City Boardwalk dates back to 1870 and is a fun spot to visit, from simply strolling along the seaside and soaking up the views to dining, shopping and pub-crawling. Whether you are looking for luxury hotels, high-end casinos, sophisticated shopping malls, bars or nightclubs, the Boardwalk has something for everyone. Gourmet restaurants and cool beach cafés serve all kinds of cuisine while refreshing cocktails are sold at vibrant bars along the promenade. 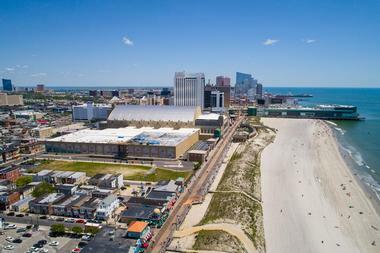 The Atlantic City Boardwalk is one of the top attractions in the city. Steel Pier is one of Atlantic City’s most popular attractions. Located on the famous Atlantic City Boardwalk near Trump Taj Mahal and extending over 1,000 feet into the Atlantic Ocean, the pier features an amusement park with more than 25 themed rides, challenging games and adventures, food kiosks, street vendors and a family-friendly pub overlooking the water. Some of the rides at the Pier’s amusement park include the double decker carousel and the ferris wheel, as well as extreme rides such as the Slingshot, the Mix, and the Freedom Flyer. The amusement arcade offers fun games and food stalls while the Ocean Reef Bar & Grill and the Steel Pier Pub offer dining with beautiful ocean views. If you are looking for fun things to do in Atlantic City with kids, this is a great place to visit. Standing at 171 feet (52 m), the Absecon Lighthouse is New Jersey’s tallest lighthouse and has a spot on the National Register of Historic Places as one of the oldest in the country. 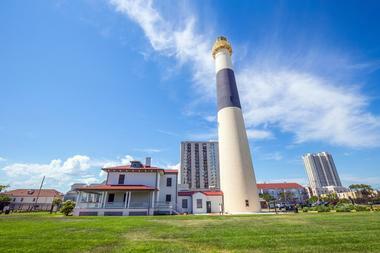 The lighthouse is open to the public and offers the opportunity to climb up the 228 steps in order to take in the spectacular views of the Atlantic City skyline. Designed by George Meade, the lighthouse operated from 1857 to 1933. The lighthouse still shines every night for aesthetic purposes and a recent multi-million dollar restoration now includes a beautiful replica of the Lightkeeper's dwelling, an educational museum, an informative Fresnel Lens exhibit in the original Oil House and a charming gift shop. If you are wondering what to do in Atlantic City on a sunny morning, you will get an awesome view from the top of the Absecon Lighthouse. The Quarter at Tropicana is a vibrant three-story streetscape that echoes the exotic splendor of Old Havana, with an array of world-class retail establishments, gourmet dining options, trendy entertainment and nightlife venues as well as a luxurious spa and wellness center. Spend the morning browsing the high-end brand name stores and shopping to your heart’s content, before heading to the Blue Mercury Spa for a few hours or luxuriant pampering. Visit the Tropicana’s IMAX Theatre, located on the third floor of The Quarter, whose five-and-a-half story high screen, digital surround sound, and advanced 3D film technology promise an unforgettable movie experience. End the day by dining in style at one of the many award-winning restaurants and dancing the night away at a nightclub. Founded in 1912, the Knife & Fork Inn is one of the oldest establishments in Atlantic City with a rich, colorful history. Located at the cross-roads of Atlantic, Pacific and Albany Avenues, this upscale eatery originally opened as an exclusive men’s club and was frequented by celebrities and other infamous characters like Atlantic City power boss Enoch ‘Nucky’ Johnson. The famous eatery has been restored to its former glory, complete with mahogany millwork, a magnificent sweeping staircase, high, hand-painted ceilings, and beautifully appointed dining rooms. The restaurant serves a top class menu with prime steaks, chops grilled to perfection, fresh seafood dishes and an extensive wine list with vintages from around the world. Discover The Playground (formerly The Pier Shops at Caesars) on the Atlantic City Boardwalk which completed a $50 million dollar first phase of construction. T Street, inspired by the music neighborhoods of Nashville, Memphis and Austin, features 90,000 square feet of dining and entertainment space. All the establishments on T Street offer live music, including the Monkey Bar, several pubs, and 39 N - a music and event space with a high-tech art stage. Don't miss the Riviera, a unique beer garden with stunning views of the water. The Iron Room is an elegant restaurant at Atlantic City Bottle Company (a lively bar that serves a range of local and imported craft beer, whiskey and wine). 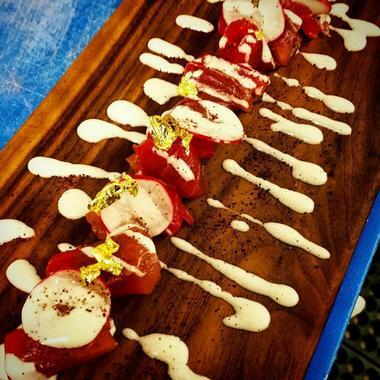 The Iron Room specializes in small plates featuring a fusion of American and European cuisine, including homemade pasta, game meats, fresh seafood, burgers, and a variety of tasting menus. Try the Happy Hour Menu where you will get to taste exceptional Fish Tacos, Duck Confit Cheese Fries and chef's selected cheeses, accompanied by cocktails and an impressive list of wines from all over the world. See Atlanta from the water as you watch Bottlenose dolphins on an unforgettable sea cruise with Atlantic City Cruises. Tours are conducted on board the Cruisn 1, a United States Coast Guard-licensed vessel that is certified to carry up to 150 passengers. The main deck is enclosed and features a bar and galley with large panoramic windows for excellent viewing, plush carpeting, and comfortable seating. An outer deck encircles the boat and provides ample outdoor seating for those wanting to feel the sea breeze. A large upper deck is ideal for private events and functions and can be enclosed during inclement weather. Morning tours can be taken watch a beautiful sunrise or in the afternoon for a sunny trip. Take the ‘Dolphin Watching’ tour to see Bottlenose dolphins in their natural environment or have fun on a ‘Happy Hour’ tour with friends (Phone: 609-347-7600). 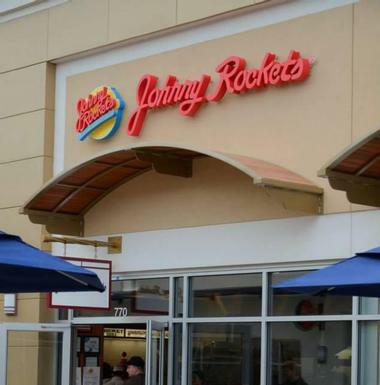 Based upon the 1950’s diner-style restaurants, Johnny Rockets is a themed restaurant franchise that serves simple food reminiscent of feel-good Americana. Featuring a signature atmosphere of casual, relaxed fun, menus offers all-American favorites such as hamburgers, hot dogs, and Philly cheese steaks, served with French fries and salads, as well as milkshakes, malts, and super floats. Toe-tapping music and swirly straws add to the 50’s-diner ambiance while special Rocket Kids Meals are a winner with kids. 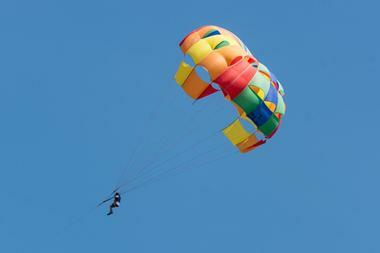 Atlantic City Parasail offers a range of parasailing and watersports opportunities in Atlantic City. Situated in Gardner’s Basin, just a short walk from the famous Boardwalk and all its attractions, Atlantic City Parasail is a fully licensed and certified parasailing operator that guarantees safe and exciting parasailing trips off the shoreline of the city. A custom-designed parasail boat seats up to 12 people, so the whole family can go on an adventure together. Visitors can launch and land the boat on a carpeted launching pad, and choose whether you want to fly solo, in tandem or get wet with a special dip in the ocean (Phone: 609-345-1212). P. F. Chang's is a casual dining restaurant with an Asian theme, serving an ever-evolving menu of contemporary Chinese cuisine. The restaurant is located in a sophisticated, contemporary bistro-style setting and offers a menu of traditional Chinese and Southeast Asian-influenced dishes, including herbs and spices imported directly from China. Sample a range of vegetarian, gluten-free and traditional fare, fresh sushi, and steamed dim sum, paired with an extensive selection of wines, cocktails, Asian beers, and sake. 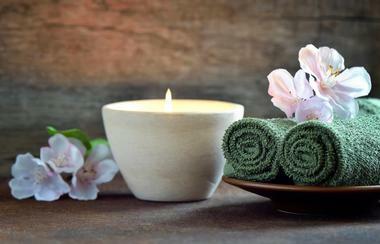 Located at the Borgata Casino & Spa, the Immersion Spa is an exclusive spa offering a variety of treatments in luxurious and tranquil surroundings. Spread over two floors of the hotel, the Spa boasts 16 treatment rooms with a range of comprehensive spa services, including conditioning body wraps & scrubs, luxury skin care, Ayurvedic therapies and a variety of massages. Professional, friendly staff ensure your comfort at all times during your visit and provide expert and skilled assistance with the treatments. Spa guests receive complimentary access to a range of deluxe facilities in the resort, including the steam room, sauna, infinity-edge lap pool, whirlpool, locker room amenities and an elegant lounge for post-spa relaxation. Visit the world’s largest pipe organ at the Boardwalk Hall and enjoy a free, behind-the-scenes tour of this magnificent musical instrument on Wednesdays at 10 am. Designed by Emerson L. Richards and built in the early 1930s by the Midmer-Losh Organ Company, the Boardwalk Hall Pipe Organ was initially created to provide the soundtrack for silent movies. Although the organ has not been functional for years, it has been beautifully restored. 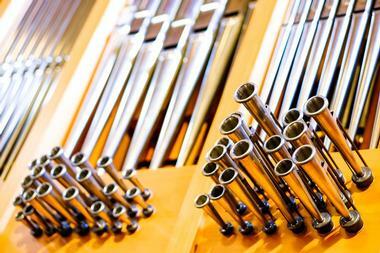 Free guided tours are offered every Wednesday which explore the history of the organ and the buildi.